“China will exempt the debt of the outstanding intergovernmental interest-free loans due by the end of 2015 owed by the relevant least developed countries, landlocked developing countries and small island developing countries,” he added. China will also push for immediacy in operations of the newly launched BRICS Bank and the Asian Infrastructure Investment Bank, Xi said. At the UNGA special summit, the Chinese President called for “equitable, open and all-round development” for all. “Global development should not be the development of any single country,” Xi remarked. China, the President claimed, provided nearly $63 billion in aid to 166 countries, organizations over the past 60 years. China accounts for almost two-thirds of the reduction in the number of undernourished people in poor countries since 1990, according to the UN food security agency, FAO. Mostly because of China’s success, east-Asia’s hungry population fell from 295 million in 1990 to 145 million in 2015. 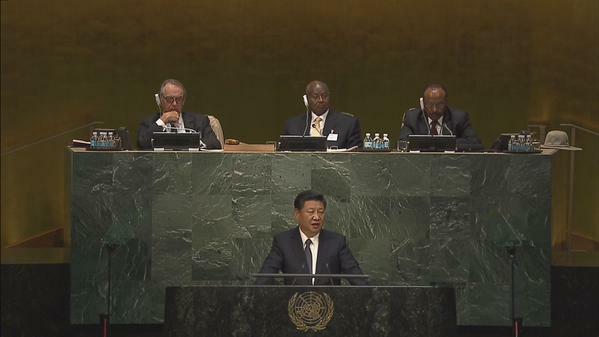 Xi also praised the newly approved post-2015 global goals at the UNGA. The road map’s goals are expected to cost between $3.5 trillion and $5 trillion every year until 2030. The new agenda consists of 17 goals designed to end poverty and hunger by 2030.